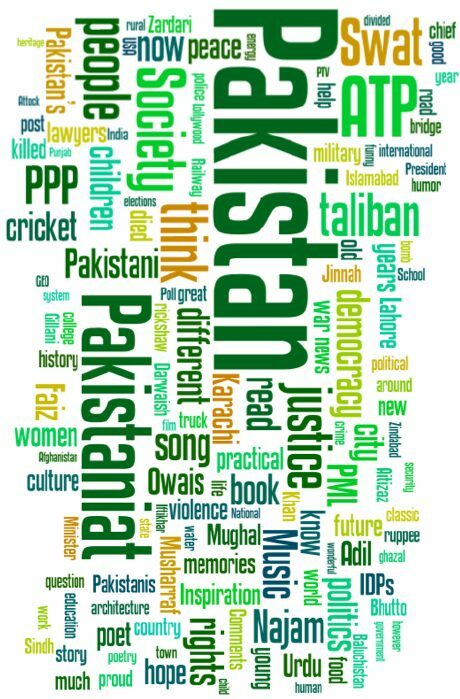 For many months now, I’ve been thinking of doing a series on Best Planned Neighborhoods of Pakistan. When I think about it, quite a few come to mind e.g. The whole city of Islamabad, North Nazimabad, Karachi, Model Town, Lahore, etc. 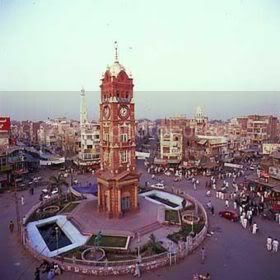 However one locality that has always caught my attention for its visionary town planning is the Clock Tower and 8 bazaars of Faisalabad. Though it was planned more than 100 years ago, the symmetry and simplicity of design of these 8 bazaars have always fascinated me. The roads of 8 bazaars now seem narrow for the volume of traffic that runs on Faisalabad roads, but I believe a hundred years ago, this must’ve been a marvel of town planning. 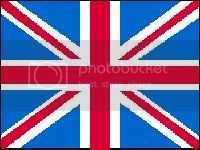 Following is a satellite image of Fiasalabad’s Clock Tower and the 8 bazaars laid around it in the shape of British Union Jack. 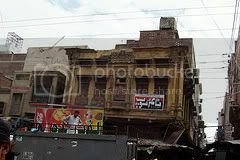 At present the buildings located in 8 bazaars and the Clock Tower itself are mostly in a state of disrepair. Like every major city of the world, as population of Faisalabad grew, businesses and residences moved out to suburbs leaving downtown to become one large commercial storage space. Very few people live in the 8 bazaars now but its commercial importance has not waned yet. The Eight bazaars of Faisalabad are called: Aminpur bazaar, Katchery bazaar, Karkhana bazaar, Jhang bazaar, Bhawana bazaar, Rail bazaar, Chiniot bazaar and Mintgumry bazaar (named after Montgomery). 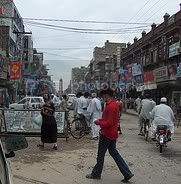 The photo to the right is a street scene of ‘Jhang bazaar’. You should be able to locate a monolithe looking Clock tower in this photo. Because of the geometry of town planning here, one sees a full face of Clock Tower from 4 perpendicular bazaars. I believe they are Aminpur Bazaar, Jhang bazaar, katchery bazaar and karkhaana bazaar. But from the 4 diagonal bazaars, only the diagonal corners of the Clock Tower are visible. The four diagonal bazaars are called Bhawana bazaar, Rail bazaar, Chiniot bazaar and Mintgumry bazaar. 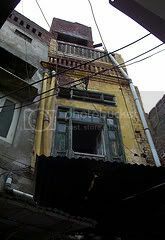 During my childhood visits to the Faisalabad it was always a fascination to try to guess the name of a bazaar, looking at what side or corner of the Clock Tower was visible to us. That fascination went away once I could start remembering the bazaars from their shops and other landmarks. Sir Ganga Ram was assigned to draft its plan. After approval of draft Sir Ganga Ram was given five squares of lane as reward. Can some reader authenticate this claim about Sir Ganga Ram? The planned city was then named as Lyallpur, after the British Lieutenant Governor of the Punjab, Sir Charles James Lyall. The 8 bazaars were planned in the shape of the Union Jack to commemorate the long reign of Queen Victoria of England. The actual work on the construction of Clock Tower started after its foundation stone was laid on November 14, 1903 by Sir Charles Pewaz, the then governor of Punjab. The plaque of the foundation stone was prepared by metal art experts of Chennai, Yangon and Colombo. As the story goes, there used to be a beautiful park at the centre point of the eight bazaars and a well in the middle of the park. The site of the well had been selected for constructing the Clock Tower. To build the Clock Tower, that well was filled. The filling of the well took weeks. The earth for the filling was collected from Chak Ram Dewali (located on present day Sargodha Road). Red sand stone was obtained from Sangla Hill. Expert sculptors which included one Gulab Khan who belonged to the family who built Taj Mahal in Agra, installed big blocks of red sand stone after proper dressing and sizing them. Expert carpenters were also involved in the construction and beautification of the tower. Big wooden planks were installed without being saw-cut into nets and fixed in the doors and windows of the tower. The clock for the tower was brought from Mumbai. The work was completed in Dec, 1905 and the whole construction cost came out to be Rs 40,000. Sir Lion Toper, the then finance commissioner, performed the formal inauguration of the Clock Tower in the presence of hundreds of citizens of Lyallpur by stepping onto the balcony of the tower. By the time this tower was built the eight bazaars were already inhabited and functional. The 8 bazaars cover a total area of 110 acres . All these eight bazaars are also connected with each other through a circular road (also a bazaar) called the Gol Bazaar. The monument shown to the right is located just outside the Rail bazaar. It is called Gumti. It is now part of a traffic circle. It also dates back to British era. I am unable to find exact date of its construcution. One source says early 1900s. I have some vague and some vivid memories of visiting the Clock Tower and the 8-bazaars in my childhood and teenage. I do remember one of the tastiest home made mango ice cream is sold infront of Clock Tower. I think the ice cream shop was between Aminpur bazaar and Bhawana bazaar. There were also several ‘Carrot juice’ shops around the Clock Tower that used to do roaring business in winters. I remember a long line of stationery stores in Aminpur bazaar. One shop called ‘ASCO sports’ in Kutchehry bazaar was very dear to me because I always used to buy cricket bats from there which became very popular among my team mates in Karachi. I don’t know if ASCO sports is still there. Can a authentic Faisalabadi confirm that? 2. World66.com Travel Guide on Faisalabad– The history of Faisalabad given at this site is the one which is copied all over the web. Needs second source. 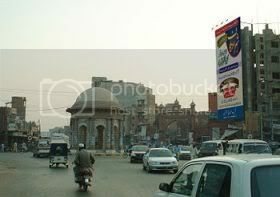 A photo of Faisalabad clock tower from March 9, 2010. See here. A good photo, in my opinion, to appreciate the architectural details of this landmark. Jackie Chan comes to Hafizabad, Pakistan?